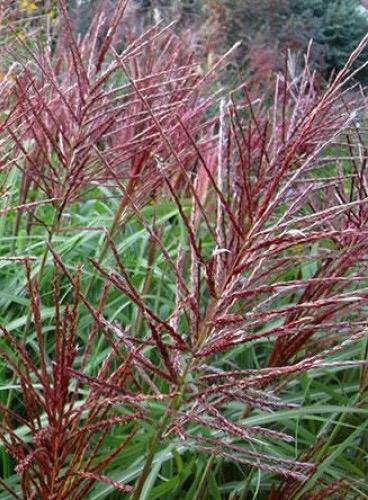 Stunning clump forming arching blue-green leaves with central silver mid rib turning brilliant red autumn colours. Upright stems carry mahogany plumes turning silver when mature, August to October. Sun and good drainage. 1.2m tall.